Happy New Year! I can hardly believe 2018 is over, and I read over 100 books during the year! My original goal for 50 books and I totally smashed it. In the busy-ness of the season, I wanted to read a number of shorter books, so I raided my son’s bookshelf. These included The Good Guys books 2, 3, & 4 by Aaron Blabey, and Zac Power Shockwave by HI Larry. I also enjoyed Ninja Inspiration by Adam Wallace, the follow up to Zombie Inspiration. It was another fantastic book that is sure to inspire and entertain teenagers. Obi the Super Puppy and the Mystery of the Red Mist Ashley Howland by is a book that I’ve been wanting to read for quite some time, and have finally read it. It’s a fun story and explains so much about why puppy dogs behave the way they do. Zombies Alive by PL Ueckerman is a book that was recommended to my son and I’ve heard so many people rave about it, I had to read it too. This was a fantastic book that kids will love. I also downloaded a copy of The Messy Bun Princess by Anitha Rathod. This was a lovely story about a princess who wasn’t one out of the box. A good alternative to the perfect princess waiting for her prince. There were two picture books on my GoodReads list, however I read three picture books of note. These were The Story of Princess Audrey by Kristen Lee Waldbieser, Dogasaurus by Lucinda Gifford, and How to Look After Your Dinosaur by Jason Cockcroft. The last two books, my son gave me for Christmas. 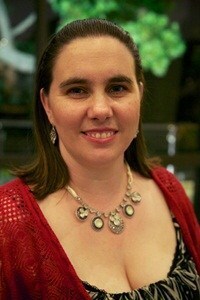 I was also able to finish We That are Left by Lisa Bigelow and The Other Woman by Sandie Jones. Two very different novels that I enjoyed. I have a full list of books to kick start 2019 and I can’t wait to get into them! 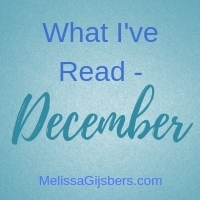 What did you read during December? What is your 2019 reading list looking like?